One for girls on the go! A file, shape, polish and cuticle oil to make your hands look lovely! 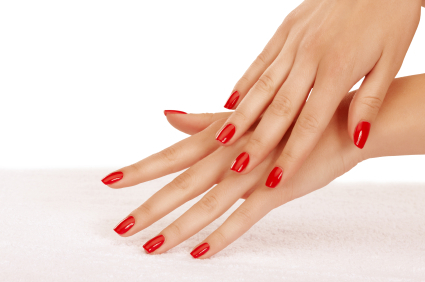 Great as a quick fix to make your hands and nails look stunning once again! 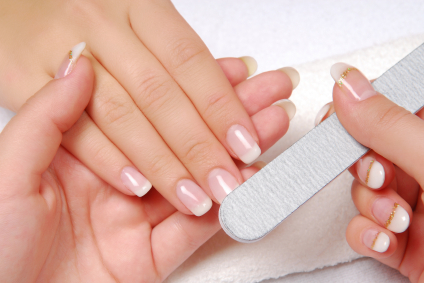 Transform your hands OR feet with our six step mini manicure / pedicure. Includes a soak, file, shape, buff and cuticle tidy followed by your choice of polish. Try the luxury option for hands OR feet for beautiful results. Includes a file, shape, buff, cuticle tidy, soak, exfoliation, moisture mask and heat treatment, massage and your choice of polish. All the benefits of the 'luxury mani/pedi' (see left) but with the addition of a hot paraffin wax treatment, guaranteed to leave your hands or feet superbly soft, moisturised and as soft as can be. This new generation Gel polish looks amazing, lasts for 2 - 3 weeks and won't chip - what more could you want in a nail polish?! Choose from a natural looking French finish or a fabulous colour. Easy to use home 'soak off' kit also available.